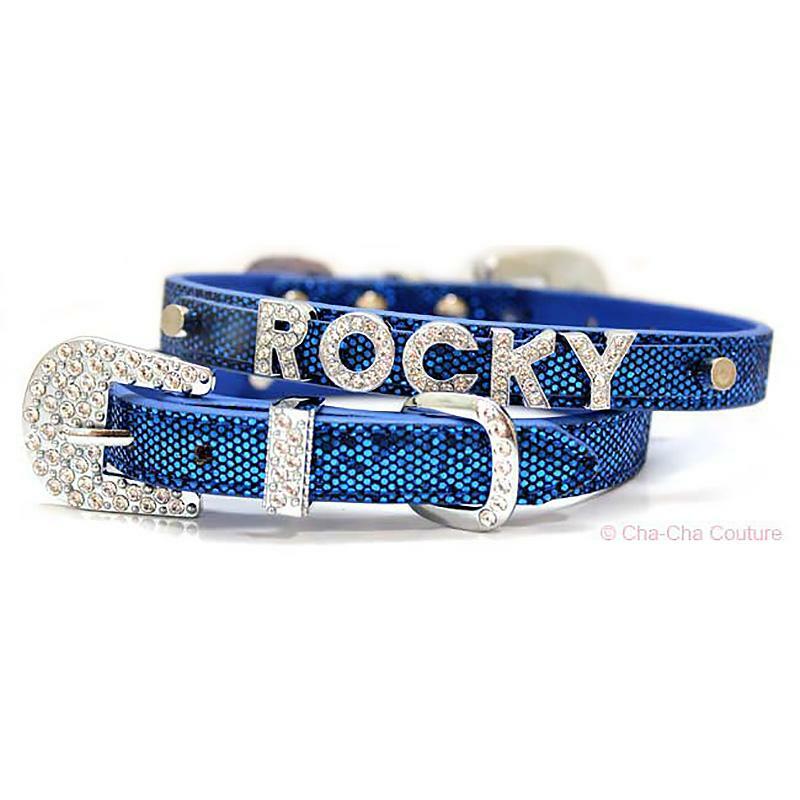 -- Select a Size -- 8-10" 10-12" 12-14" 14-16"
Dazzle your pet with a gift of this sparkly Foxy Glitz Dog Collar with Letter Strap in Hot Pink from Cha-Cha Couture! The Foxy Glitz Dog Collar with Letter Strap in Hot Pink is as sparkly as they can get! This series is absolutely stunning. The glam buckle is adorned with clear Czech crystals that are one of kind and look exquisite on any pup. Personalize your dog collar with 10 mm crystal letters, numbers, and charms for a truly unique look, each sold separately.